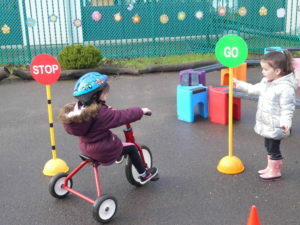 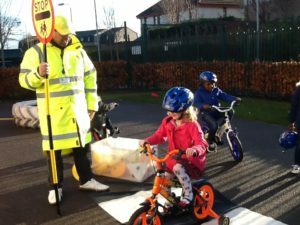 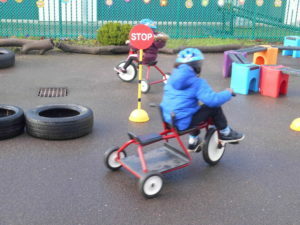 In nursery we have been having fun whilst learning about how to stay safe when walking near traffic. 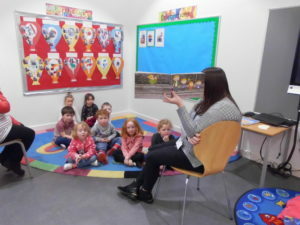 We have been listening to stories about how Ziggy the alien learns about keeping safe when walking to school and in the countryside. 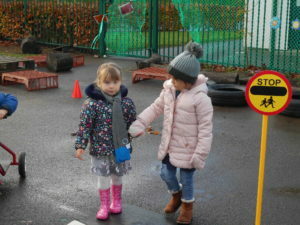 We’ve been practising crossing the road safely and finding out what the road signs mean by setting up our own “road” in the playground. 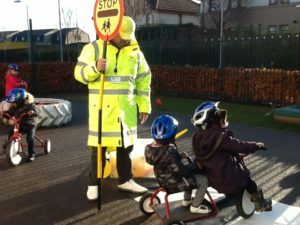 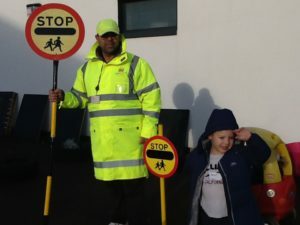 We even had a visit from a real Lollipop man!